It's coffee table books time again! 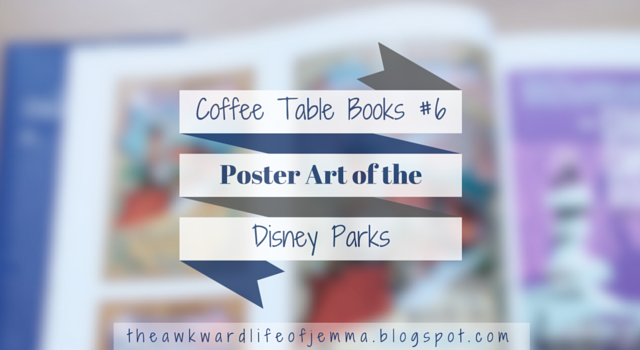 Today I'm bringing you one of my newest and favourite books, Poster Art of the Disney Parks by Danny Handke and Vanessa Hunt. 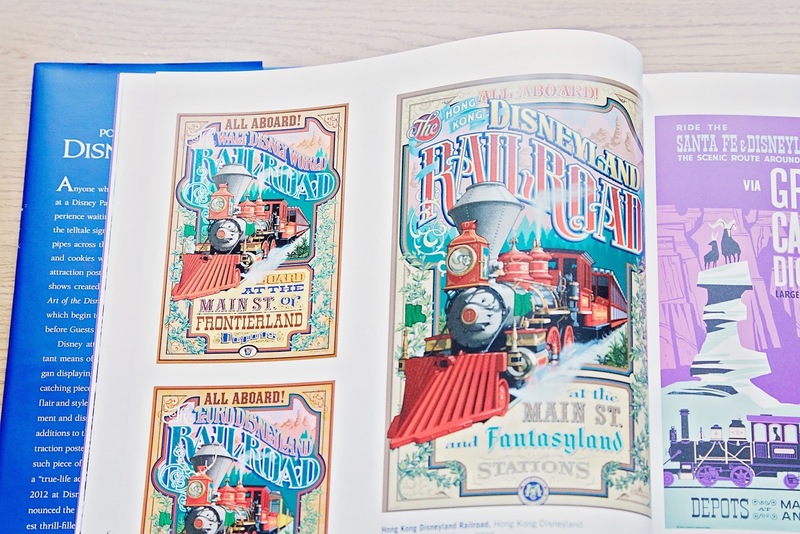 It should come as no surprise to you that I love Disney, and I am thrilled that I am now blogging this book because I have wanted to add a little Disney magic to my blog for a long time now. My love for Disney runs deep and I am fascinated by the history and the background of the both the films and the theme parks. I even read a biography about Walt Disney himself, by Bob Thomas, before my last visit to Walt Disney World which was absolutely fascinating and I highly recommend you read it. 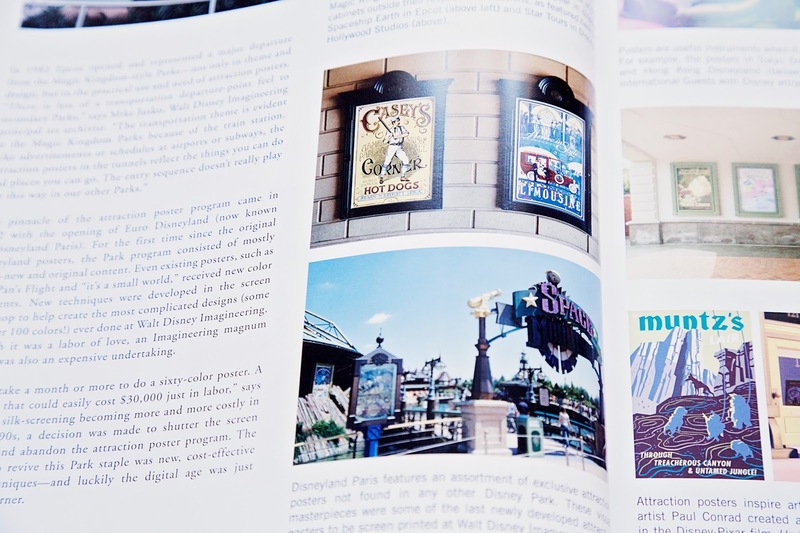 You can pretty much figure out what this book is about from the title, you guessed it - it's about the attraction posters from Disney parks around the world and includes lot's of artwork and description about how these posters came to be, their work in progress and how they differ from park to park. If you've been to more than one of any of the Disney parks you'll know that a lot of the attractions are duplicated although there are usually slight differences between each one and often the names may differ too. In the example above you can see that the traditional Alice in Wonderland tea cup ride alters between 'Mad Hatter's Tea Cups' and 'Alice's Tea Party'. 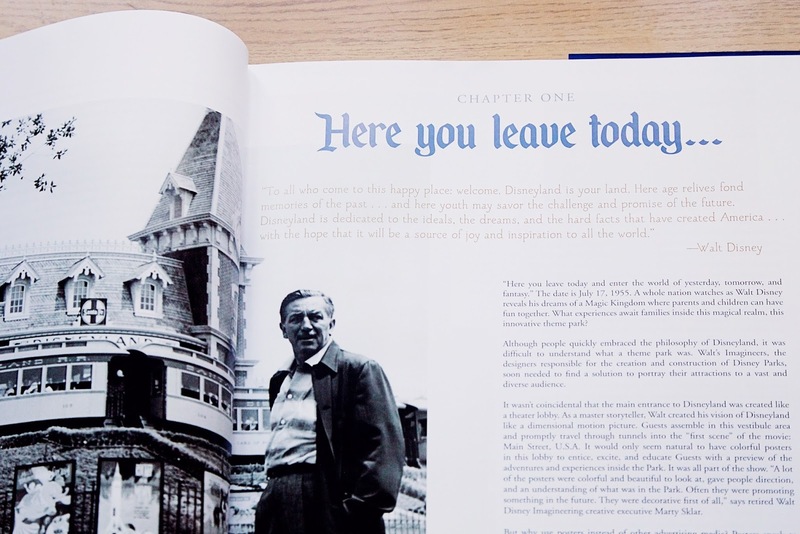 The text provides you with some context about the theme parks, Walt Disney and of course the imagineers. It tells you why they designed the park the way they did and it focuses on the aesthetics. It is easy to read and doesn't go into the huge depths of detail that a biography or history book might so it's perfect if you want to find out just a little bit more information but it doesn't detract from the artwork. I could read about the history of Disney all day, but I appreciate not everyone wants to! For the most part the book is full of images and captions which makes it great to flick through while it's on your coffee table. I love the abundance of different artwork. There are so many different styles and different artists and so much care is taken when designing these posters. At Disney theming is so important, so instead of having a bunch of posters for rides that all look very similar, these posters are truly individual and vary so much because of the ride's uniqueness. They are all brightly coloured and highly detailed, so much so that they could be considered artwork in themselves not just adverts for a ride! My absolute favourite poster art is that of the rail road. I love the vintage theming, the ornateness and the colours, I'd love to have this displayed in my home! Overall I just can't get enough of this book, and it's great to read when I need a bit of a Disney fix. Unfortunately this post concludes my coffee table books series, at least until I get some new books to share with you that is! But, it isn't a coincidence that I've finished with this book in particular as I wanted to introduce you to my plans for a new monthly series. As I mentioned before I really want to get some more Disney themed posts on my blog, for someone who loves Disney as much as I do it just doesn't make sense that I haven't blogged about it! So starting with this post I will be writing a monthly Disney series and I already have lots of posts planned for you. Let me know if there is anything Disney related that you would like me to post about but until then make sure you've checked out my Disney World Tag post!